period and ends at the new millennium, shedding light on such major movements as the Enlightenment, constitutionalism, nationalism, socialism, and feminism, and the impact of the postwar occupation. Commentary by major scholars and comprehensive bibliographies and indexes are included. 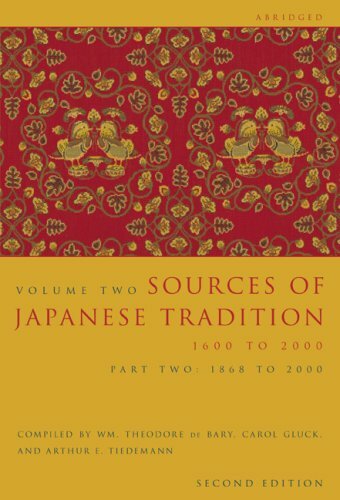 Together, these readings map out the development of modern Japanese civilization and illuminate the thought and teachings of its intellectual, political, and religious leaders. at the Heyman Center for the Humanities, Columbia University. He is the author of Modern Japan: A Brief Historyand Introduction to Japanese Civilization.